Today was the first rainy day I rode in over the past couple of years. And that is a good thing. Good because we are in a draught here in California and this will help even though I know the price of water will go up anyway. Good, too, as I have been lucky for a while and the rain did not fall during my commute times. Another positive is that I might have found the perfect attire for riding in the rain. A couple of years ago I bought a Carhartt rain suit from the local outdoor and camping store. I bought it just for general use when I wanted to stay dry and not at all for motorcycle riding. Rain fell pretty steadily for the 40 minutes I was on the highway. And when I got home, I was completely dry! I don’t remember exactly how much I paid for the suit, but it was somewhere in the ballpark of $50 to $75 tops. 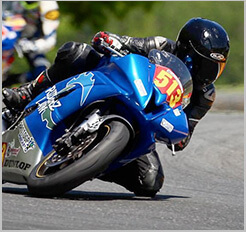 I have worn motorcycle suits from Tourmaster, Joe Rocket, First Gear and others for years. My usual experience is that I stay dry the first winter and the suit begins to leak the second wither and I replace it after about two years. Maybe if I spent $1,000 on an Aerostitch or other famous brand the suit would last longer but I never wanted to spend that kind of money. My current suit from Bilt is supposed to be rain proof. I have kept dry in it but I never tested it in a downpour. It is already two years old so I tossed the Carhartt in the saddlebag this morning. In the afternoon, I put it on over the motorcycle suit. What do you know? It really worked. The jacket I bought is bright yellow so visibility is good. There are no reflective strips but if I was riding at night I could tape some on or wear the vest I already own over the jacket. I remember there were other high visibility colors too when I bought the suit. So, I give this outfit two thumbs up! I am dry. And as safe as ever as my usual motorcycle clothes are under the rainwear. Check it out at your local outdoor store.